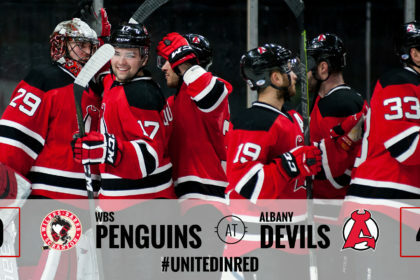 ALBANY, NY – The Albany Devils defeated the Wilkes-Barre/Scranton Penguins 4-0 behind Mackenzie Blackwood’s first career shutout, and first Devils’ shutout of the season Friday at Times Union Center. 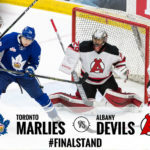 Blackwood stood on his head to make 24 saves en route to the best performance of his young career. 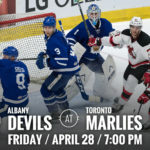 The victory splits the season series between the two teams at a game apiece and is the Devils’ fourth win in the last five games. Blake Coleman opened the scoring for the Devils at :58 of the first period. Brian Gibbons fed the puck from behind the net, and Coleman put one past Penguins’ goaltender Tristan Jarry. It was Coleman’s 33rd point of the season and sixth in the last four games. 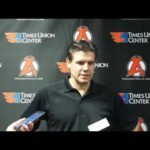 Yohann Auvitu recorded the secondary assist on the goal. 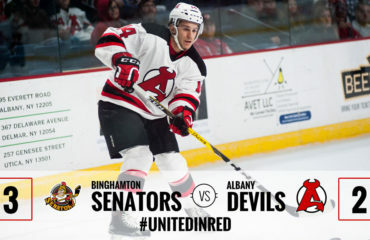 Ben Sexton scored his 19th goal of the season to give Albany a two goal advantage with 8:37 left in regulation when he sent a pass from John Quenneville into the net from the top of the left circle. Their linemate, Carter Camper, picked up the second assist. 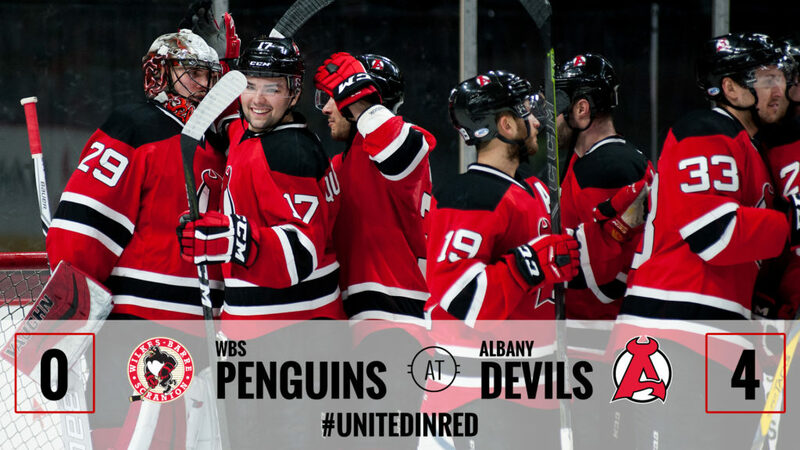 Max Novak followed at 15:54 of the third period to cushion the lead for the Devils on assists from Nick Lappin and Auvitu. 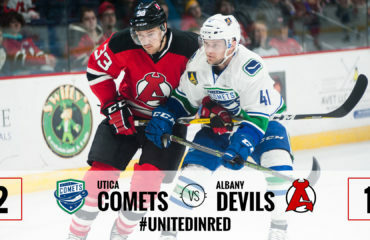 Lappin’s helper extended his point streak to nine games and Auvitu’s gave him his third multi-point game of the season. 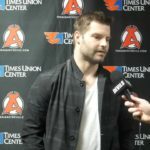 Lappin added an empty net goal with 41 seconds left in the game to give him 13 points in his last 12 games. Gibbons picked up his second assist of the game on Albany’s fourth goal. Jarry was busy in between the pipes for the Penguins, making 30 saves on 34 shots. 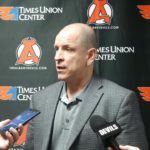 Albany improves to 30-21-1-1 while Wilkes-Barre/Scranton moves to 37-12-3-0 and has its three game winning streak snapped. 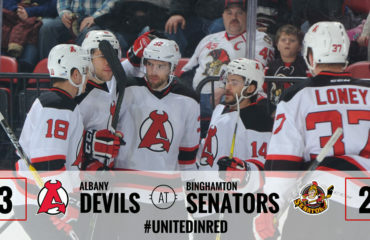 The Devils play at Times Union Center Saturday at 1 pm against the Bridgeport Sound Tigers.